Ibrahim Halawa.Ibrahim Halawa was seventeen when he was detained and accused of involvement in the protests at the Al-Fateh Mosque in Cairo during a “day of rage” that was held by the Muslim Brotherhood following the ousting of ex-president Mohamed Morsi. From the outset, Halawa’s legal battle has been one of obstacles and entanglements, and has proven to be the most high-profile case for the Irish Foreign Office in years. He is one of thousands of protesters who have been swept up by Egypt’s repressive Law 107, a coercive decree issued in the aftermath of the country’s 2013 military coup. Almost 1,300 days after the initial arrest, Halawa is still being held in captivity. Labelled as a prisoner of conscience by Reprieve and Amnesty International, over 25,000 actions to date have been taken by people in Ireland calling for his release. On 14th February, Halawa’s mass trial (which, including himself, covers four hundred and ninety-four defendants) was adjourned for a staggering nineteenth occasion, this time because of the failure of four witnesses to attend court. This has left the twenty-one-year-old Irish citizen and the long-running campaign for his release and ultimate freedom in a precarious position once again. For the Firhouse student, who has been detained in Egyptian prison for over three-and-a-half years, finding himself locked between a number of legal efforts surrounding a judicial process seemingly without end, and a political game which has so far yielded similarly meagre results, it appears difficult to see any real, short-term closure for the young man. Halawa recently began a hunger strike as a show of protest against the unending trial as well as the prison conditions he is being kept in. The charges brought against him could result in him being issued the death penalty. According to a recent report carried out by the Cairo Institute for Human Rights, the mass trial Egyptian law - known as the 1914 Assembly Law - which is being used to prosecute Halawa and his co-defendants, was “incontrovertibly repealed” in 1928. As a consequence, the legal process and the charges Ibrahim faces breach both Egyptian and international law. However, these findings have done little to push Egyptian President Abdel Fattah El Sisi to back down on implementing an extremely outdated piece of legislation that has over the past few years enabled thousands of convictions that do not meet international legal or human rights standards. It is understood that a soon-to-be-published Youth Amnesty List is currently being compiled by the Egyptian government, in an attempt to address growing outcries against the number of minors that have been detained under the current regime since 2013. In spite of the many impediments the cause for this would-be student - who last year penned a letter, entitled ‘Graduation Speech’, marking this hypothetical milestone to reflect on his experiences in Egyptian prison – has had to contend with, a number of parties have been working for years with the Halawa family and the Irish government to try and find some kind of solution to his reportedly worsening situation. What are the legal avenues available to him at this stage, then? One of the more publicly-discussed routes is Law 140, a presidential decree allowing a defendant to return to his or her home nation in cases where extradition of the accused would be deemed to be in the “higher interest” of the Egyptian state. A presidential pardon under the Egyptian constitution is also an option. But Halawa would first have to be sentenced and then appeal through two supreme courts before the head of state would be able to step in and clear the litigant of any conviction. A presidential pardon under the Egyptian constitution is also an option. Another possibility for the campaign may be to make recourse to the EU External Action Service, which could sit in on and monitor trial proceedings (thereby ensuring that they conform to internationally-recognised standards). Currently standing in the way of this route in the European Parliament, however, are both Greece and Cyprus (and under the Unanimity Rule that governs current EU procedures, the opposition of these two member states makes this course of action impossible to avail of at present). A number of groups have been lobbying several EU bodies and representatives on this issue for some time now, but it is believed that a firmer, co-ordinated diplomatic approach from the Irish government will be required in order to push the mechanism into gear. Anti-Austerity Alliance TD Paul Murphy has remarked that the “softly, softly, don’t-want-to-rock-the-boat” strategy of the Irish government so far has obviously failed, and a much harder position is now needed. This sentiment was echoed by Eamon Ryan, TD for the Dublin Bay South constituency, when a few weeks ago he told openDemocracy that if the trial was not concluded within the coming weeks, the campaign would probably have to turn to this diplomatic branch as the next, most immediate course of action. 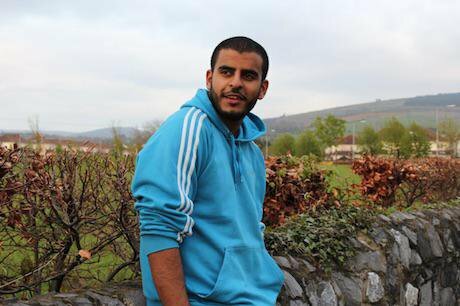 Last month, Halawa was told he would be returned to Ireland once legal proceedings are concluded. But as a representative from Amnesty Ireland explains: “Though this news might appear encouraging, it is dependent on the completion of his mass trial which does not meet fair trial standards required under international law. Ibrahim’s return to Ireland is dependent upon the completion of an unfair judicial process which shows no sign of coming to a conclusion”. In short, this official statement, or apparent gesture made by the Egyptian government, in reality does little good for Halawa’s cause as long as the sham judicial process continues with its umpteen suspensions and deferrals as it has done up to this point. Murphy, for one, is convinced that there “is zero chance of getting justice in the [Egyptian] courts”. The ostensibly positive news for the Halawa family and the campaign came on the back of last month’s Cairo visit from a cross-party delegation of TDs. A number of the parliamentary delegates noted how Halawa appeared “remarkably strong”, despite the intense emotional and psychological strain he was clearly under. He was said to have been both articulate and self-aware, as well as “frank”, when giving his accounts of the living conditions, the intimidation and the torture he had experienced in the Egyptian prison system (which has included being stripped and beaten with metal bars). Reports of routine neglect, maltreatment and torture in Egyptian prisons abound, and a number of credible studies have been conducted by organisations such as Amnesty International and Human Rights Watch pointing to the extent of the abuse in the country’s criminal detention centres. These reports contrast sharply with the performance delivered by the official greeting which met the delegation in January, according to Sinn Féin’s Eoin O’Broin, who described a scene of “waiters with dickie-bows serving pastries”, and accompanying monologues from the twenty-or-so Egyptian officials present, stressing and reiterating the country’s adherence to human rights standards. “Ibrahim’s claims are consistent with the reports [coming] from human rights groups”, O’Broin continues, recounting the ceremonious charade in some detail. At a number of points during our conversations, both O’Broin and Murphy rubbish the periodic comments from government representatives which deny any accusations of abuse, insisting that “what is coming out of Egypt [in this regard] essentially can’t be trusted”. While some might claim that what has given the Egyptian authorities sufficient reason to keep Ibrahim Halawa in custody are the links to the splintered and discordant Muslim Brotherhood represented by his father, Imam Hussein Halawa - and allegedly upheld or endorsed by Ibrahim - others have responded by asking whether the young man should be punished for the views putatively held by one of his parents. Ryan dismisses such comments as “attempts to muddy the waters” and to cast aspersions on the younger Halawa by association, maintaining that “the issue is quite simple” – basically, that of a minor arbitrarily detained in a peaceful protest, who is being held in prison indefinitely without fair trial. Stranger still is that his three sisters, who were with Ibrahim in the Al-Fateh Mosque on August 16th, were released in 2013, yet he was kept in prison – an odd detail nobody seems to be able to account for publicly so far. It is one of a number of questions that remain unanswered in the case. Footage did emerge in 2013 which appeared to show Ibrahim speaking at a Muslim Brotherhood demonstration two weeks prior to his arrest, and there have been unproven claims (mostly circulating online) of him ripping up his Irish passport. These alleged acts have arguably dented some of the support for the young man’s case among Irish citizens at home. However, Ryan’s statement is bulwarked by the Amnesty reports which have scrutinised audio-video and testimonial evidence, coming to the conclusion that Ibrahim “could not have committed the violent crimes with which he has been charged”. A further report, referred by the judge in the case to a technical committee, found that of the hundreds of defendants currently being detained as part of the trial, information could only be found relating to two of them. Ibrahim Halawa was not mentioned at all. Whether he expressed seditious views or not at the time is therefore irrelevant to the case charges. What now for the Irish government and the Free Ibrahim campaign? So where does all this leave Halawa and the various efforts for his release? There are several motivations underpinning why it would be desirable for Egypt to retain healthy international relations with Ireland and its allies that could be used as leverage. Most of all, because of trade Egypt wants to cast itself as a relatively stable Arabic nation in the present geopolitical climate. Indeed, both Murphy and O’Broin point out that it is in Egypt’s best interest to maintain good relations with Ireland – and, by extension, the EU - for these same reasons. El Sisi will also have to make a well-judged call on cases like Ibrahim’s, where a balance between not appearing so lenient as to invite further insurrection, and not allowing the Muslim Brotherhood the opportunity to make martyrs out of some of the prisoners, has to be struck. Some commentators believe this dilemma is the main reason for the many trial adjournments. Boris Johnson is one of several foreign government ministers who have been pressured to raise the issue of Halawa’s imprisonment during his visit to Egypt to meet with President El Sisi. For one thing, O’Broin rejects the suggestion that the past twelve months’ political events in the Republic of Ireland – comprising sixty-three days of a hung parliament, before the incumbent, currently under-fire government eventually formed – may have slowed down efforts to secure Halawa’s release, flatly underlining that “the country continues to operate when these things happen”. Because of this, he went on, it has not had a considerable bearing on the rate at which the campaigning efforts for the young man’s freedom have been fought or pursued. Meanwhile, Ryan believes, if anything, last year’s political events have in a way facilitated the cross-party delegation‘s mission, which he says is the biggest of its kind in decades. He explains that the parliamentary lag almost opened up a window during which a number of rival parties were able to put aside political differences and make common cause. One still might be prompted to ask, however, if Enda Kenny’s expected resignation over the recent McCabe controversy could well slow down the ongoing battle for Halawa’s release, which has now reached a critical stage. The Taoiseach and his Minister for Foreign Affairs and Trade Charlie Flanagan have both faced some criticism for their perceived inaction – O’Broin claims that the fact Kenny has not spoken to El Sisi since last summer and has never met face-to-face with the Egyptian president “speaks volumes” of the pair’s lack of intervention - over securing Halawa’s release. His health will almost certainly have been exacerbated by his recent hunger strike. This stands in comparison to the supposed “weekly calls” that O’Broin claims were being made by Australian officials on behalf of Al Jazeera journalist Peter Greste during his time in Egyptian prison. While it is true there has been some praise for certain members within the Australian Foreign Office over their work to secure his release, Greste’s case was considerably less thorny than Halawa’s, given that he didn’t hold Egyptian citizenship or alleged links to radical groups. O’Broin ends with comments similar to those made by his partner, Lynn Boylan, in the aftermath of the most recent adjournment: essentially, that Irish-Egyptian relations cannot be normalised until Halawa‘s case is resolved. He also makes a point of highlighting the “incredible” efforts by Halawa’s sisters – particularly, Fatima - over the course of the several-years-long campaign. The two other Halawa sisters, Somaia and Omaima, who were released with Fatima in 2013 after initially being arrested and detained alongside Ibrahim, will have been alarmed to learn of their brother’s hospitalisation some weeks ago. Concerns over Halawa’s heart problems, as well as his generally deteriorating mental and physical condition, were previously voiced by Amnesty Ireland, his family and several of the politicians who saw him last month. His health will almost certainly have been exacerbated by his recent hunger strike. Ibrahim Halawa’s next - and quite possibly not, without some kind of serious intervention, his final - trial date is scheduled for 22nd March, assuming he makes it to that point. As the Free Ibrahim campaign pushes as hard as it can to draw a solution from an increasingly desperate set of circumstances, two things are patently clear. The first and less immediately pressing of the two surrounds the number of unanswered questions still attached to the case; and the other key consideration for most parties involved is that time is quickly running out for the young man.